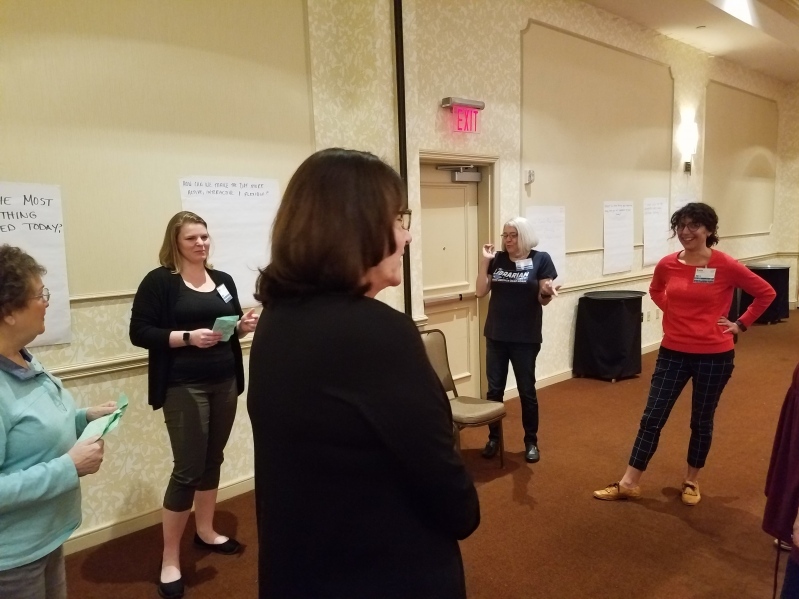 Networks are i nformal discussion groups that meet quarterly at our office or at a variety of libraries in our region to discuss the challenges, ideas, and strategies around a specific topic of interest. Networks are managed by the interested individuals. Meeting topics are determined by the group members and include invited speakers as determined by the group. Networks are a wonderful opportunity to share ideas and resources, to explore trends and challenges and to meet colleagues in the region. Everyone in our region is welcome regardless of membership level. We are always starting new Network Groups based on input from you. We are starting a Branch Managers Network as a result of the Day for Small Libraries and Branches. Here is an opportunity to share your challenges and successes with other branch managers throughout the region. The network will meet two-three times per year with roundtable discussion and speakers as determined by the group. To receive further information about this group's activities, please send a request to Melissa Lattanzi. As a result of the Day for Small Libraries and Branches we are starting a Small Libraries Network. Here is an opportunity to share your challenges and successes with staff from other small libraries within the region. The network will meet two times per year with roundtable discussion and speakers as determined by the group. The Construction and Facilities Network is open to any staff involved in the design, construction, renovation and maintenance of libraries. The network meets quarterly to discuss issues related to the design and construction of library facilities from beginning to on-going maintenance. Roundtable discussion with speakers as determined by the group is the standard format. To receive further information about this group's activities, please send a request to Shawna Keringer. The Academic Library Directors' Network is open to the directors of academic libraries in our region. The group meets 2-3 times per year to discuss items of interest, share resources and collaborate. Roundtable discussion with speakers as determined by the group is the standard format. To receive further information about this group's activities, please send a request to Karla Aleman. The New Supervisors' Network is open to those who have completed the New Supervisor's Academy or are a new supervisor. The group is comprised of all interested new supervisors and meets two times per year to provide ongoing support. Roundtable discussion with speakers as determined by the group is the standard format. The Fiscal Officers’ Network meets quarterly to discuss items of interest and share resources. Roundtable discussions are the primary format. The group is open to all library fiscal officers and deputy fiscal officers (or equivalent positions) in our geographic region regardless of membership. The meetings are typically four hours long and include lunch. To receive further information about this group’s activities, please send a request to Debbie Blair. The Human Resources Network meets quarterly to discuss items of interest, share resources and collaborate. Roundtable discussions are the primary format but sometimes include speakers. The group is open to all library staff that have HR functions in our geographic region regardless of membership. The New to Libraries Network is open to anyone new to libraries. 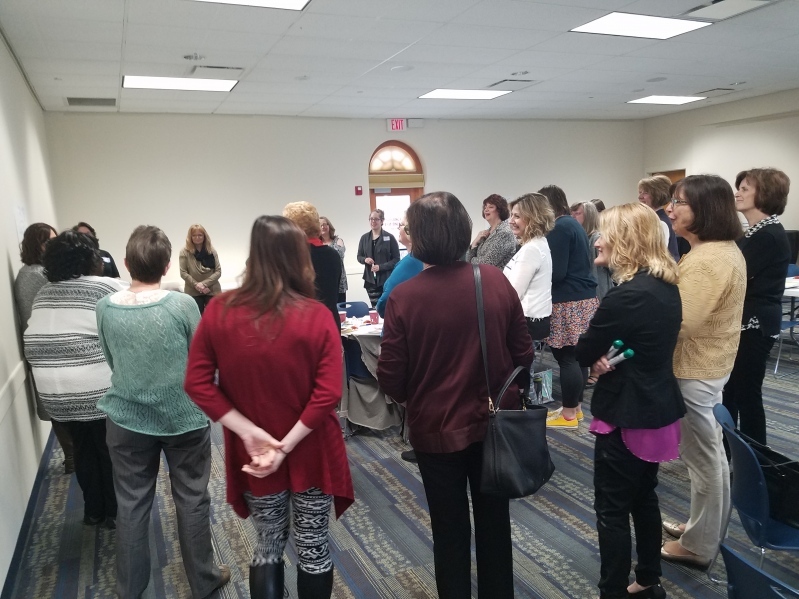 The network meets periodically throughout the year to provide networking and professional development opportunities for SLIS students, library staff and those transitioning into library work. The Northeast Ohio Regional Library System provides programming support to the network and hosts meetings at its office but the group is completely independent. To receive further information about this group’s activities, please send a request to Wendy Bromfield, Head of Public Services at Huron Public Library. discuss items of interest and share resources. Roundtable discussions are the primary format with occasional presentations from speakers in the field. To receive further information about this group’s activities, please send a request to Melissa Lattanzi. The Readers’ Advisory Network is open to adult services and other staff that provide readers’ advisory to patrons. The network meets twice a year to discuss specific genres, training of staff, ideas for book discussion and tools to utilize for readers’ advisory. Meetings are held at a variety of libraries so that participants have an opportunity to see different collections and displays. A portion of the meeting is devoted to a discussion of challenges and successes.